Hike: Glover Park and C&O Canal – November 3, 2018. We will explore this wonderful section of woods in the heart of Northwest DC. If you have never been there, you will find it hard to believe you are in the City. The Leader’s Favorite Hike. 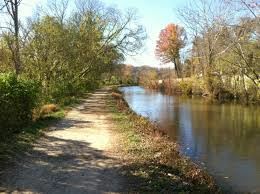 EVENT: Glover Park to C&O Canal. DATE/START TIME: November 3, 2018, 10:00 a.m.